When it comes to adding a serum into your skincare routine, you may want to look at other options than NatVay Vitamin C Serum. 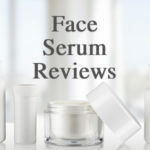 While the product scent, dry time, and ease of application are all enjoyable aspects about using the serum itself, it sadly doesn’t deliver any of the anti-aging results it promises. Claiming to decrease wrinkles and sun spots while increasing hydration and skin firmness, and many other anti-aging benefits in between, NatVay sadly falls short when it comes to their Vitamin C serum. You won’t do any harm to your skin by introducing this product into your skincare routine, but you likely won’t reap any benefits either. 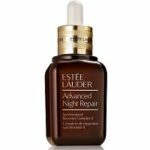 It’s best to look past the affordable price tag and try out another face serum that will leave you with amazing anti-aging benefits. The texture of NatVay Vitamin C Serum is exactly what you would expect from a serum. 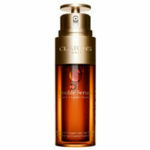 It isn’t overly thick or thin—it has a very straightforward texture for a face serum. This made it really easy to apply and layer my other products on top of, which is definitely a plus. Once the serum had absorbed into my face and neck, it left behind a slightly tacky residue. It wasn’t an overwhelming residue and didn’t impact the application or wear of any of my other face products, but you can definitely tell that you have a face serum on your skin. NatVay Vitamin C Serum is pretty easy to apply, but has one major difference to the application instructions than every other face serum I’ve tried. While most serums have you apply the product on clean, dry skin, NatVay has you apply their Vitamin C serum on clean, damp skin. This was really confusing to me, so truthfully, I applied it on mostly dry skin, but I didn’t do a super thorough job of drying off my face and neck like I normally do. The other aspect of this serum that was slightly tricky in regards to application was the dropper applicator (which I’m rarely a fan of). NatVay didn’t say how much product you needed, but you couldn’t really get actual drops out of the dropper. It just sort of squeezed out a bunch of product. I found that I personally needed about a pea size to cover my face and neck! Other than that, the application was easy and straightforward. Once I had applied the serum to my face and neck, I allowed it to absorb and then followed up with my other face products. It was super easy to layer on top of, which was a bonus, and you can use it both morning and night without it messing up your makeup game. The dry time for NatVay Vitamin C Serum was really quick! You definitely have time to rub it all over your face and neck before it absorbs, but once you’re done applying it, it’s completely absorbed within 10 seconds. 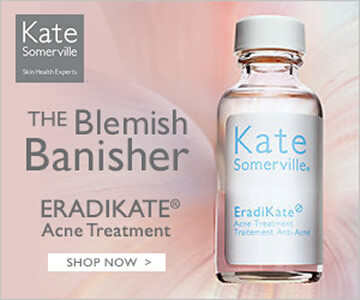 I’ve said it before, and I’ll say it again—I love when face serums have a quick dry time. Anything I can do to decrease the time it takes to do my skincare routine both morning and night is a win for me. NatVay Vitamin C Serum has a very slight natural scent to it. I think it may be from the lavender and aloe vera extract, but whatever it is, it smells really nice. It’s super slight, so you have to sniff pretty hard to smell it, and it goes away once the serum has been applied to your skin, but it smells great as your applying it. I used NatVay Vitamin C Serum at night first, and when I woke up the next morning, my skin looked exactly the same as it did the night before. I didn’t experience any skin irritation or breakouts, so that’s always a relief when trying a new product. However, my skin didn’t have any improvement to it either. Unfortunately, I don’t have any results to report after using NatVay Vitamin C Serum both morning and night for weeks. NatVay claims that the Vitamin C serum will decrease wrinkles, dark spots, and sun spots while increasing skin elasticity, hydration, and leave you with a natural glow. I didn’t experience a single one of those results. I was really hoping to see something to write about—whether it was hydration or improved complexion, but I genuinely didn’t see a single change to my skin. This went both ways, too. I didn’t have any increase in skin congestion or any irritations on my face and neck. It was honestly as if I wasn’t using any sort of face serum. So that’s definitely a bummer! While the price tag for NatVay Vitamin C Serum is affordable, I can’t say any product is worth the money if it doesn’t deliver results. And that’s sadly the case with this face serum. 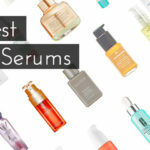 As I said throughout my review, the serum was easy to incorporate into my skincare routine and didn’t do anything to harm my skin, but it also didn’t do anything to improve my skin. So, for that reason, I don’t think NatVay Vitamin C Serum is worth the money, even if it’s very affordable. NatVay sells their products on third-party website such as Amazon. Definitely reach out to the retailer before purchasing to find out what their return policy is before purchasing. This is especially important to mention since I didn’t experience any results from using NatVay Vitamin C Serum. 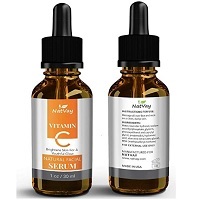 To purchase NatVay Vitamin C Serum, click here. Guarantee NatVay is sold on third-party websites so reach out to individual retailer for return policy before purchasing.